after Hanks comment, all I’m interested in is him clarifying if the ride would not only be done by “the early part of the season” but also opened by then or not. SaveTheWAVE wrote: I will be attending the ACE Maxx Force construction tour on March 23. Unfortunately, the event is for ACE members only. However, I promise to take lots of pictures for everyone!!! Let me know if there is anything in particular in the construction of Maxx Force you would like to focus on. Can you ask them to explain how the air launch system works?? Ask them about how they are going to handle capacity and crowds on the midways please. ^^ Excellent questions!! I’ll be sure to ask about both crowd control-get some pics of queue work if there is any, and also ask about the details of the launch system-I’ll get lots of pics of that for sure! _FuryBull_330_ wrote: Ask them about how they are going to handle capacity and crowds on the midways please. I imagine this will be similar to the 4-5 hours lines when Batman opened. I could see the line for Maxx Force starting in Southwest Territory. ^ Unless they rerouted a service road near Whizzer/MXF and made that the queue. SaveTheWAVE wrote: ^My apologies. I intended to write if there are pictures you would like me to take of Maxx Force that are of interest? Are you interested in seeing the catch car up close? Pneumatic cylinders? Trains if there are any? That kind of thing. I will for sure ask about theming and rollbacks. Oh, hadn’t thought about the possibility of a rollback. It would be great if you could ask about the likelihood. Thinking it might not be an issue with the height of the first element - it’s not 400 feet or anything. ^ Joe Draves from Ride Centerline who was apart of creating this ride was talking about the possibility of a rollback or being stuck at the top in an interview and how this affected how they came up with the idea of the double inversion. He said that the train isn't loosing much major speed at the top so it probably wouldn't even be a problem. I doubt a rollback is possible. ^ A rollback is ALWAYS possible. I guess you're right. Just look at V2! My face was very unthrilled when they posted that “update”. We were all expecting more than we’ve already seen. Admit it. These are just closeups of what we’ve seen. gottastrata33 wrote: My face was very unthrilled when they posted that “update”. We were all expecting more than we’ve already seen. Admit it. These are just closeups of what we’ve seen. I'm not sure what they're working on, but no vertical construction looks to have begun. I don't know if they're waiting for more to come in, but I don't see anything stopping construction. Just speculation, but based on the picture posted I am thinking that they are doing all of the launch at/near ground level and then up to the 90 degree point of the structure in photo. This makes it much easier for the crane to manaver putting the lower track pieces without the structure above it getting n the way. More supports are up now. It appears they are building the support tower next to Raging Bull. I have posted my update video from this afternoon from outside the park. 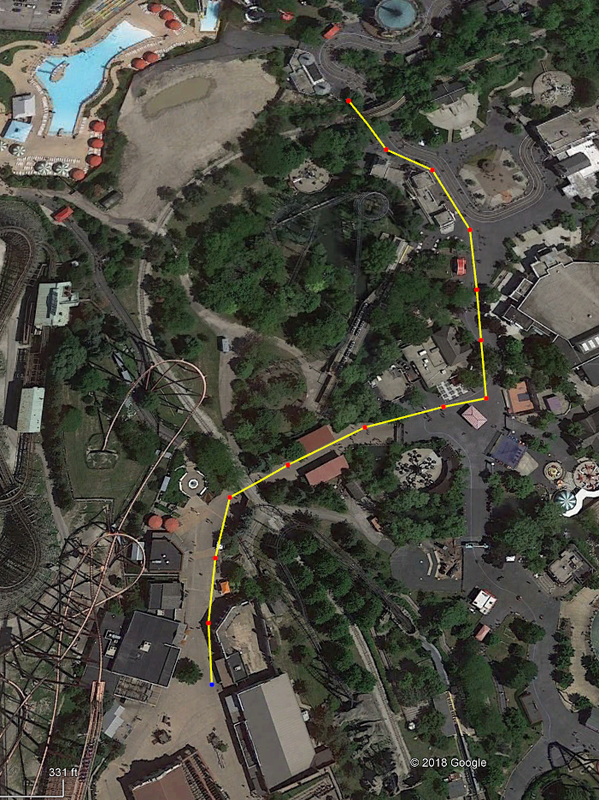 RobSFGAm wrote: I have posted my update video from this afternoon from outside the park. I knew the first vertical loop was going to have good height, but I really underestimated the height of the last loop before the dive into the station. Looks good. ^ I was traveling west on Washington Street today (running errands). My travels took me to the overpass on the way to Greenleaf. Maxx Force’s last inversion is VERY visible from that point. I, too underestimated its height. I’d say it’s more in the 135-145’ range than 120’ as I previously speculated. Although it isn't the easiest to make out, it appears the station and launch track are complete (visible at 1:48 in video) and the track continues up towards the first inversion (visible at 0:25 in video). ^ At :25 I couldn't tell if that was track ot just something behind the ride. Looking at the pictures Six Flags posted a few days ago it looks like you'll get really good views of the train falling down that double inversion. Looks like the picture was taken by the Southwest Territory sign by The Lobster. Am I correct? SFGAM_Hog wrote: ^ At :25 I couldn't tell if that was track ot just something behind the ride. 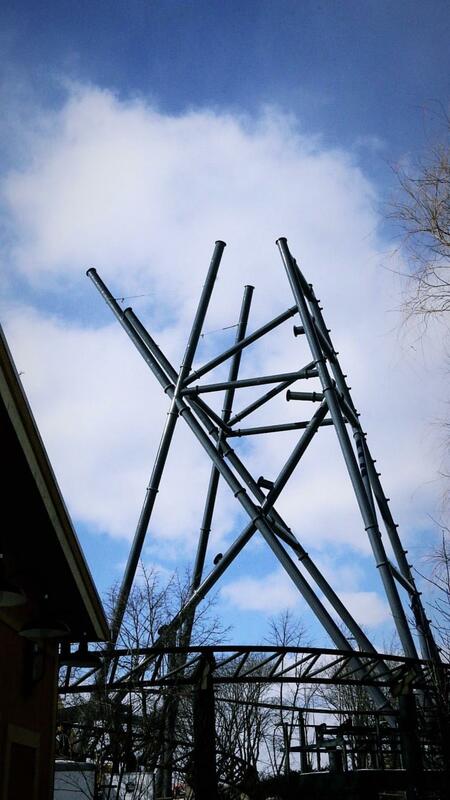 Looking at the pictures Six Flags posted a few days ago it looks like you'll get really good views of the train falling down that double inversion. Looks like the picture was taken by the Southwest Territory sign by The Lobster. Am I correct? Yes, that picture was taken near the games between Hometown Square and Southwest Territory. That area as well as the Viper queue will be great places for photo ops of this ride. Here is a picture as I was driving home (3/12/2019). More track has been installed. Just an smartphone picture, so not the best quality. Link only shares for 12 hours, will look for another service to share with and re-post image. Last edited by RobSFGAm on March 14th, 2019, 6:19 am, edited 5 times in total.